Having a strong commercial function in the Civil Service is essential. 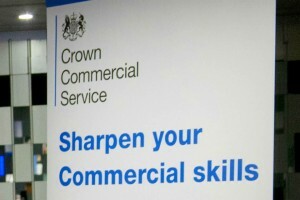 That is why improving commercial skills and capability is one of the Civil Service Board’s top three priorities, and why we wanted to blog about the progress that is being made in this area. So why is commercial so important? The answer is simple. Every year, government spends billions of pounds on contracts to provide a wide range of public services. So, securing the best deals for government is essential, not only to deliver value for money to the taxpayer, but also to drive innovation in the wider economy. That is why, in 2016, we will build on progress from 2015 to introduce a range of measures aimed at doing exactly that. The first step is to get the right leadership in place at all levels within the Commercial Function, an area where we have already made significant progress. At the top, we have appointed Gareth Rhys Williams as Government Chief Commercial Officer. Gareth joins us with significant private sector experience and, crucially, has a strong record of driving transformational change in large and complex organisations and a clear understanding of what best practice looks like. Alongside Gareth, we have recruited 12 senior commercial specialists with deep industry knowledge and many years’ experience. They have been placed in departments with the largest commercial portfolios and are making an immediate impact. This process of hiring top specialists from the private sector is ongoing, and to ensure we are able to recruit and retain them we are introducing a new, more competitive, pay and grading model. As well as strengthening the number and quality of our senior commercial leadership, it is essential that the right learning and development support is made available to commercial staff at all levels. A professional curriculum has been introduced to develop deep commercial knowledge and skills, with the opportunity for external accreditation at specialist levels. We have also implemented cross-government commercial standards, published for the first time in February. These standards incorporate advice and suggestions from civil servants at all levels to ensure best practice is shared and adopted right across government. The standards apply throughout the commercial life-cycle, from the inception of projects through to the termination of contracts and the search for new suppliers. Another important step forward has been the introduction the Commercial Fast Stream, through which 60 graduates have already begun to gain vital commercial experience across government. The programme will support participants in building career paths in the commercial arena, providing a new generation of ambitious and gifted commercial minds, who will raise capability from the bottom up. And with over 4,000 high-quality applicants for the 2016 intake, we’re confident in its continued success. Further to this work, it is crucial that government continues to raise its game as a customer. Through the Strategic Partner Programme (SPP), we will work closely with those suppliers who serve multiple departments, to ensure contracts are beneficial for both government and its partners. Supporting this will be our Crown Representatives, a group of 17 senior business leaders who dedicate their time to managing top-level relations with government’s largest strategic suppliers. Each year, central government has annual third party spend of over £44 billion and across the course of this Parliament, £15 billion worth of these contracts will expire. The Complex Transactions team in the Cabinet Office is working alongside commercial teams in departments, the Government Digital Service and the Infrastructure and Projects Authority (IPA) to ensure the transition between contracts is managed as effectively as possible. The right people, with the right skills, working in the right place; that is what we must achieve. While there is clearly a lot to do, we are confident that we are building a sustainable, scalable commercial function that will encourage our valued suppliers to innovate and become more competitive, helping to deliver better public services, and create better value for the taxpayer. We are now well on our way. Where is the evidence that 'mainstream' staff are being developed as much as/more than the Fast Streamers? Undoubtedly mainstream staff are more experienced and talented. Unless we get the best talent in the better posts, we won't be successful. It's good to see that the "process of hiring top specialists from the private sector is ongoing, and to ensure we are able to recruit and retain them we are introducing a new, more competitive, pay and grading model" is ongoing. Can we have some details of how bringing in people from outside on better pay deals than long serving civil servants motivates people? Also - what is the new pay deal? And lastly - why will bright specialists join and stay with the current pay deal? "to ensure we are able to recruit and retain them we are introducing a new, more competitive, pay and grading model"...and we make do with the smoke and mirrors 'emplymee deal' to retain our much and often thanked staff for working in such difficult and challenging times of change in the civil service.